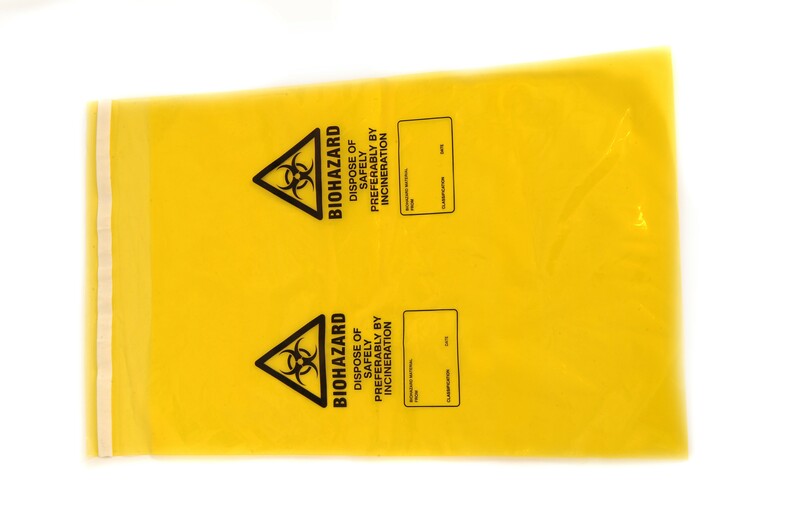 Biohazard bags for the removal and safe disposal of harmful and clinical waste. Bags are disposable to minimise the risk of infection. Handy self-adhesive self-sealing strip. 20cm x 30cm Pack of 50 clinical waste bags.